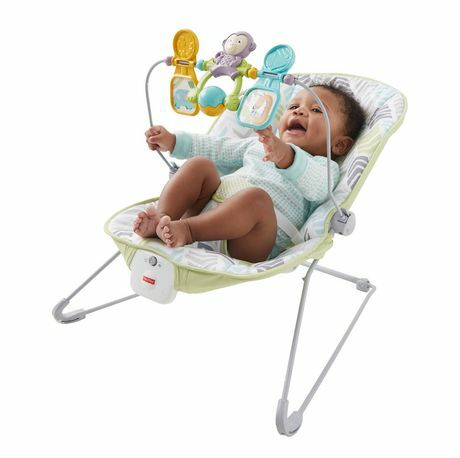 Let's bounce, baby! 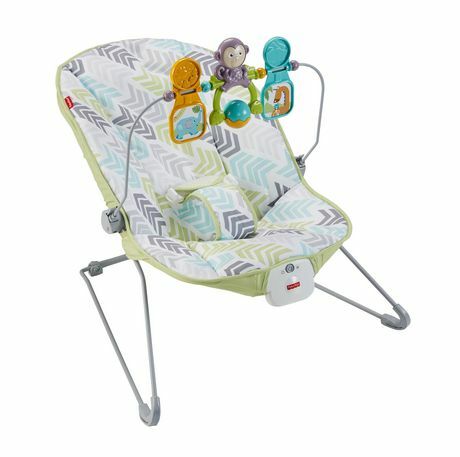 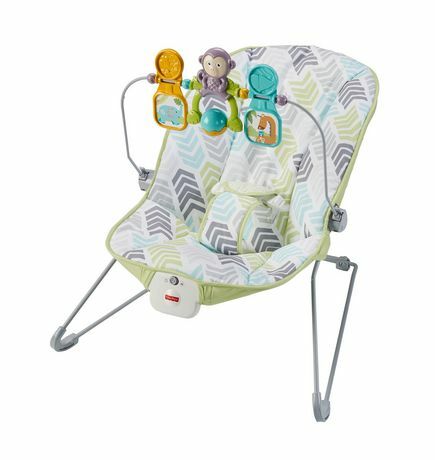 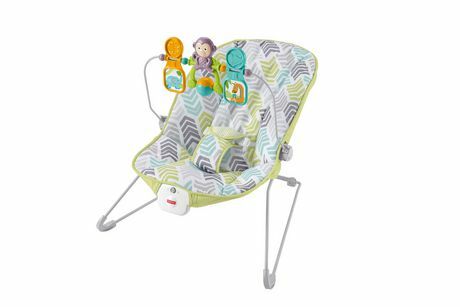 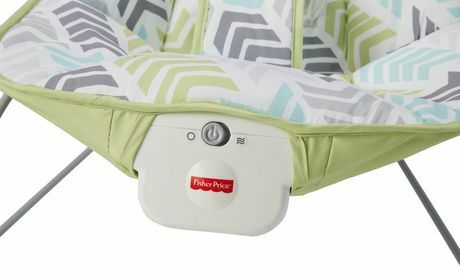 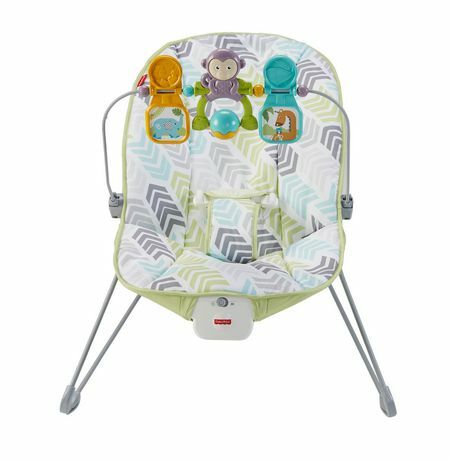 This comfortable (and stylish) baby seat gently bounces along to your little one's natural movements and features calming vibrations at the touch of a button for extra soothing comfort. 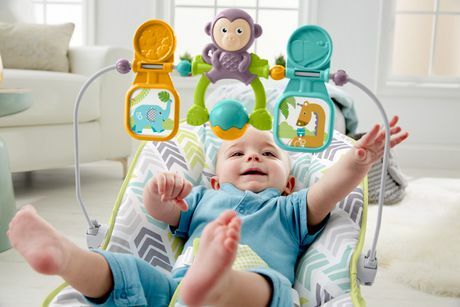 and when your baby's in the mood to play, the overhead toy bar with three animal-themed toys offers plenty of bat-at fun! 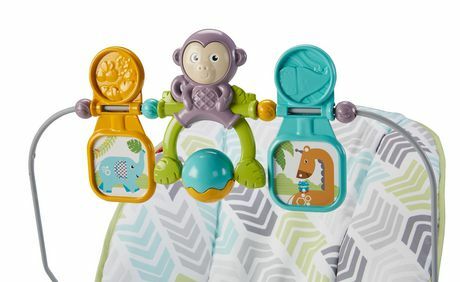 Where development comes into play -- Gross Motor: Reaching for & batting at the animal spinners & rollerball help strengthen your baby's gross motor skills. 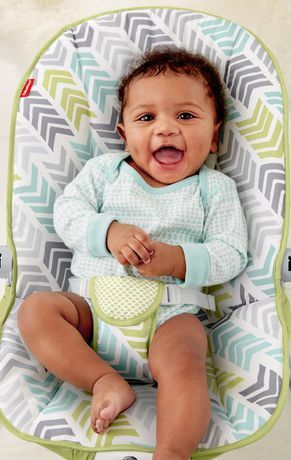 Sensory: Bright colors, playful animal toys and soft fabrics get baby's senses going wild! Security & Happiness: This comfy & cozy seat with its calming vibrations, make this one happy & soothing place for baby.